While working in the garden after work the other day, Kitty and I were considering what to do with our front Garden (the garden at the front of the house). Since I cut down the tree that was shading this area, it is getting a significant amount of sun each day and we want to use this. At the front of the house, the road is very close to our property. The road is higher than the ground on our property due to an embankment which rapidly slopes down from the road, through very stony ground, to the lush grass of our garden. Kitty and I were discussing planting shrubs to help block out the noise of traffic, and provide some privacy to us. While examining the embankment, I noticed what appeared to be a step at the top. I moved a few stones out of the way and found what was obviously a concrete step. After a quick discussion, I set to work with shovel, wheelbarrow and muscle. 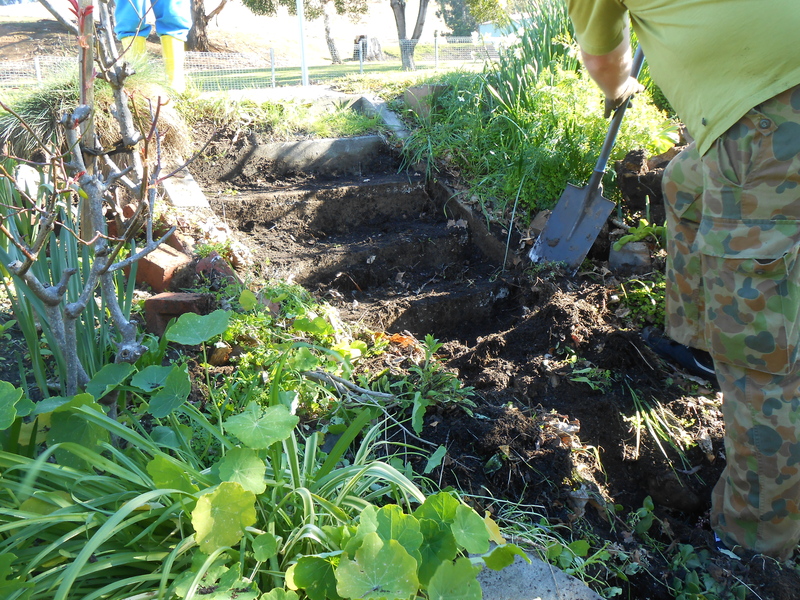 Pulling dirt and stones out of the bank and uncovering a nice set of steps down to our garden. 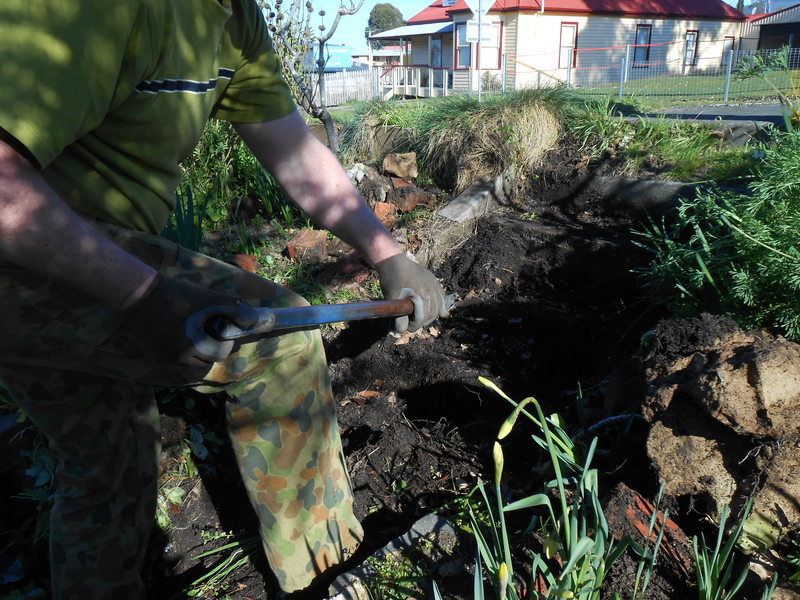 We are very happy with our discovery and intend to use it as part of the feature of the garden. While working, we discussed the plants and uses we may get from the embankment. We decided to plant on the Southern edge a string of Camellia bushes, which we will keep pruned so that it will provide us with a buffer to the noise and privacy. I have replanted many Rose Bushes between each Camellia, to provide an interesting variation and to provide a thorny barrier between each Camellia. Northern side of the Camellia hedge (or shrub fence, if you like) we have decided to plant many different varieties of grape, with a couple of other interesting berry bush (which I have not yet decided upon… although I wouldn’t mind a thorn-less Blackberry or two). We were also inspired by a recent episode of “River Cottage”, which focused on Strawberries… so to that end we intend to go mental planting strawberries too within the embankment.